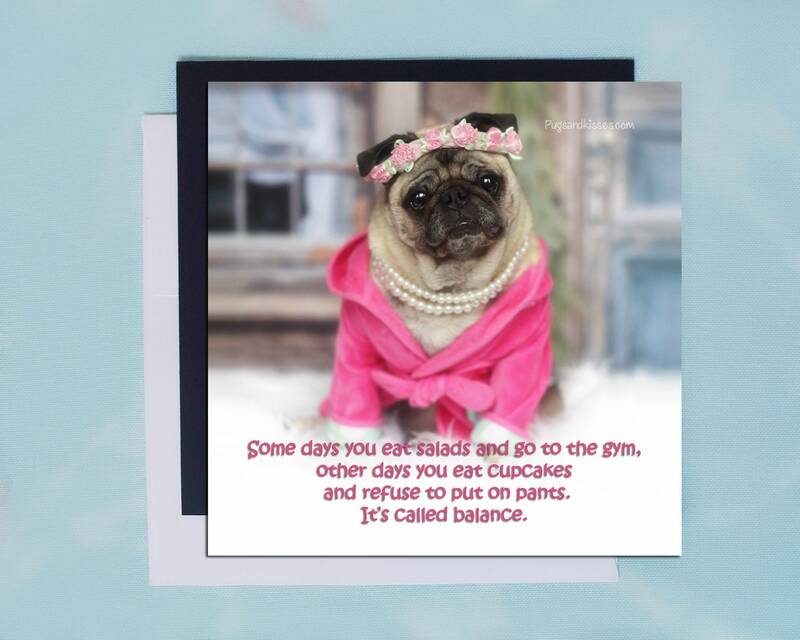 This funny and adorable magnet features sweet Theodora Grace and is sure bring a smile to your face every time you see it on your refrigerator...or any other place that takes a magnet! It makes the perfect little gift, too. Your friends will smile for certain! 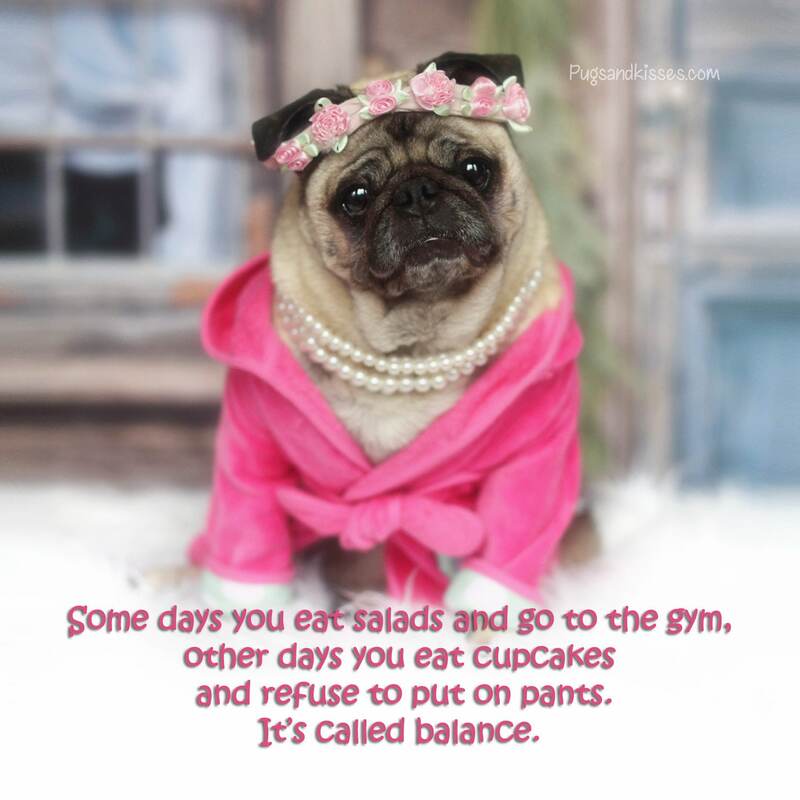 This item is one, "It's Called Balance," magnet by Pugs and Kisses. "Some days you eat salad and go to the gym, other days you eat cupcakes and refuse to put on pants. It's called balance"